Dopplereffekt present Athanatos, their fourth release for Leisure System, including a stunning collaboration with Carsten Nicolai and Olaf Bender. Advancing the concepts of growth and decay considered in Cellular Automata (LSR 020LP, 2017), the duo of Rudolf Klorzeiger and To-Nhan explore the genetic conditions behind mortality in five sections, each offering a different interpretation of the subject matter. While conceived as a whole, the parts could be seen as functional devices in an iterative process. 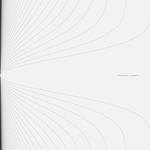 The release features artwork by Carsten Nicolai. Repressed. Cellular Automata is the new album from Dopplereffekt (Rudolf Klorzeiger and To-Nhan), their first in ten years since 2007's Calabi Yau Space on Rephlex. Cellular Automata approaches mathematical growth and decay as an iterative process, with each data input considered individually relative to the overall model. The result represents one of the group's boldest creative endeavors, defying expectations while remaining unmistakably Dopplereffekt. Cellular Automata is the third Dopplereffekt release to come via Berlin's Leisure System label, following 2013's Tetrahymena EP (LSR 007EP) and 2014's Hypnagogia (LSR 012EP). Detroit enigma Dopplereffekt has been resurrected, emerging from a grave of jagged detritus and techno trash for their first release since 2007. 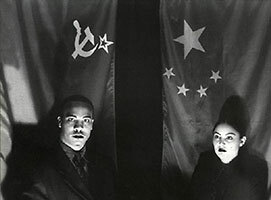 Dopplereffekt has always preferred mystery and myth, and the Tetrahymena EP on Leisure System is a scorching assertion of their capacity for hallucinogenic abrasion. Tetrahymena wanders through decommissioned factories and an omnipresent chemical haze, evasive and contemplative like the last man alive in a crumbling steel city. Whether in the ethereal voices and plunging bass of the title-track, the unidentified flying objects droning maliciously in the thunderous weapon "Gene Silencing," or the retch and hiss of arpeggiated bad trip "Zygote," it's a transportive journey of dread as only Dopplereffekt can create. Leisure System is proud to release the Tetrahymena EP, an essential vision of dancefloor dystopia from one of the most consistently compelling artists in electronic music.